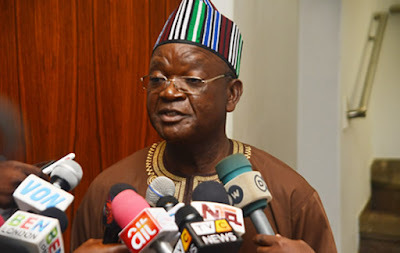 Benue State Governor Samuel Ortom on Sunday criticised the Federal Government over the alleged move to question the presidential candidate of the Peoples Democratic Party Atiku Abubakar over corruption allegations, especially his alleged role in the collapse of Bank PHB. Ortom said in a statement by his Chief Press Secretary Tever Akase, “We watched with shock the televised press briefing by the information minister in which he vowed that the Federal Government would interrogate Atiku Abubakar on his return from the United States. “The Federal Government’s plan to take over the job of the Economic and Financial Crimes Commission to question the PDP presidential candidate has confirmed our earlier conclusion that the anti-graft agency has not only lost its neutrality but has also conceded its constitutional role to the APC administration.